During the past 100 years the Foundation has spent $3 billion dollars on life-changing sustainable projects. Our 35,000 clubs carry out sustainable service projects that support our six causes. With donations like yours, we've wiped out 99.9% of all polio cases. Your donation also trains future peacemakers, supports clean water, and strengthens local economies. It can save a life. A child can be protected from polio with as little as 60cents. Our partners make your donation go even further. For every $1 Rotary commits to polio eradication, the Bill & Melinda Gates Foundation has committed a further $2. It can provide Clean Water by improving sanitation facilities providing toilets that flush to a sewer or safe enclosure. You can promote good hygiene habits, through education. Proper handwashing, with soap and water can reduce diarrhoea cases by up to 45 per cent.It is stated that as many as 6,000 children die each day from diarrheal diseases caused simply by lack of sanitation and unsafe water. You can improve access to Water & Water Quality by implementing rainwater harvesting systems to collect and store rainwater for drinking, irrigation or recharging underground aquifers. You can provide point of use home water filters such as a ceramic or sand filter to make drinking water safe.You can build water wells to extract groundwater from underground aquifers. Economic and Community Development You can promote the development of mobile banking resources in partnership with an Microfinance institution.Mobile phones can be used to make deposits and transfer funds, can increase access to banking systems in developing communities You can partner with a local microfinance institution to create access to financial services and provide financial infrastructure at the community level. Fighting Diseases You can support health education programmes that explain how diseases are spread and promote ways to reduce the risk or transmission. You can carry out immunizations against infectious diseases You can sponsor continuing education and training for health workers including supporting scholarships. You can improve and expand access to low costs and free health care in underserved areas. Promoting Peace You can help children who have been orphaned, injured or traumatized by conflict You can offer support to marginalized groups within society that are at risk of violence or persecution You can provide relief to refugees or internally displaced people who have fled areas of conflict You can Pursue projects that address the underlying causes of conflict: disease, illiteracy, hunger and poverty You can participate in fellowship and service activities with Rotary clubs in other parts of the world to promote understanding and peace You can recruit candidates for Rotary Peace Fellowships. Up to 100 peace fellowships are offered annually on a world-competitive basis for study at the Rotary Peace Centres. You can incorporate conflict resolution and mediation strategies into service projects involving local schools, orphanages, workplaces and community centres. If the above information is not sufficient for you to see WHY YOU SHOULD SUPPORT THE ROTARY FOUNDATION then please contact me as I can give you many more reasons to contribute regularly. Personally by standing order - contact Rotary Foundation Uk at Alcester who can give you all the forms and information you would need to set this up. If you are a tax payer you can also gift aid your donations. Club Level. Your club members can contribute through your Club there is a special contributions form for this make sure you tick the correct box which is Annual Fund - The donations attract Paul Harris Fellow points for the club. The annual Fund share is the primary source of funding for a broad range of local and international Rotary Foundation Activities. Endowment Fund - ensures the long-term viability of the Foundation's grants and programmes. Spendable earnings from this fund also enable the Foundation to expand existing activities and occasionally underwrite new ones like the Rotary Peace Centres. Leave a Legacy in your Will. 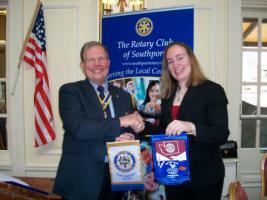 : Again The Rotary Foundation department at Alcester would be happy to talk to you about this. Polio Plus Fund. You can make contributions to this fund by completing the contributions form and ticking the correct box. Please note that personal or club donations to Polio Plus do not count towards the clubs record of annual giving to Foundation Annual Fund but does attract PHF recognition points. 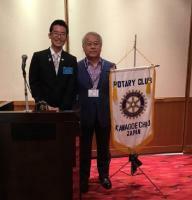 Support Rotarys long-term recovery efforts in areas affected by recent disasters. Your gift to the Foundation's disaster relief and recovery funds will support Rotarian efforts to help those affected by recent events. Rotarians can make cash contributions to specific projects approved by the Foundation. Your donation, which must be directed to an approved grant number, will be directly applied to the grant and further Rotary's humanitarian work around the world. Further information can be obtained from the District Foundation Grants Committee.